Miracles are possible in your life, easily and effortlessly. It's simply a matter of remembering who you are by removing the blockages between you and your soul. Almost all of these obstacles have their roots in your distant past, so it's very valuable to travel back in time to release them. In Denise's book, you'll learn how to travel back to your previous incarnations to release buried obstructions so you can create the miracles in your life that you deserve! Anyone can do it and it's safe, easy and fun. Inside, you'll learn how to: . Discover your past lives without ever doing a regression . Remove limitations that originated in your past lives . Uncover the symptoms of past-life traumas and how to clear them . Understand the roles that loved ones played in other incarnations . Recall the choices you made before you were born . Expand your ability to create reality and manifest your dreams . Get help from your personal guides, spirit guardians and angels. 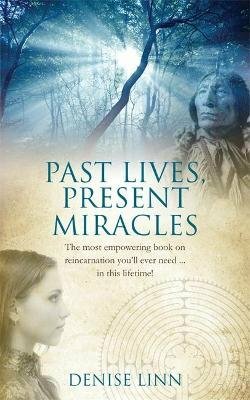 Past life regression is an incredible tool for personal transformation, and Past Lives, Present Miracles is the perfect way to start your discovery of your hidden past.